That soldiers have to pay? Life's race is all but run. Soldier, can you answer still? When the bugle notes do call. Old soldiers out to play. "I have just had the pleasure of reading your wonderful Remembrance Day pages. 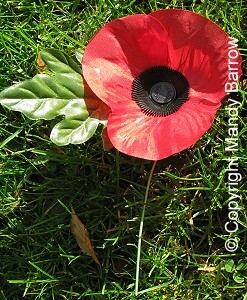 My late husband served all through World War Two, he had a deep reverance for The Poppy. When he died this month in 2003, I placed a poppy in his lapel before the funeral. Thank you for the pleasure and reinforced memories your site has given me tonight. You have done a magnificent job of adding my song to your wonderful site. I must confess I have tears in my eyes listening to it. How proud my late husband Terry would be, if he could see it. 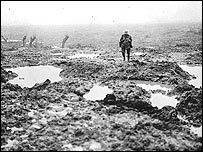 The falling poppies look so beautiful on the screen, I am indeed honoured and hope many will enjoy my efforts ......"
Sadly, due to the current intensive operations, the names of many young men and women are now being added to war memorials throughout the land.